Misfit is perhaps best known for its apps and wearables, but the company’s ambitions apparently lie far beyond fitness tracking. 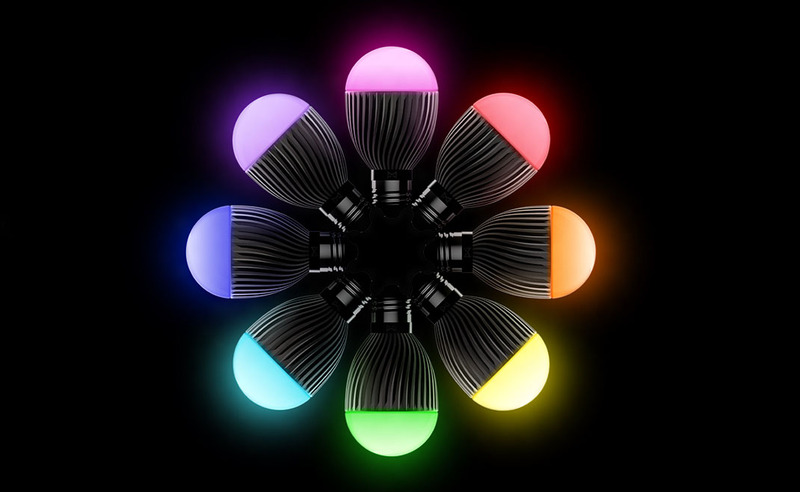 This morning, it unveiled the Bolt, a wirelessly-connected LED lightbulb with companion Android software. The Bolt, which will land for a relatively affordable $50 later this year, marks the company’s first foray into the intelligent appliance market. Predictably, it integrates well with the Misfit ecosystem, connecting with a Flash or Shine for simpler power toggling and synchronization with stored sleep schedules. When paired, the Bolt can automatically tune to shades best conducive to rest, or act as a visual alarm clock. The Bolt can also be controlled with the aforementioned app, of course, via Bluetooth. It’s nicely designed but unfortunately stripped down, allowing for little more than color selection. Advanced tasks like scheduling require setting up a compatible, third-party hub on your wireless network; only the Logitech Harmony Home will work at launch. The Bolt is available for pre-order at Misfit’s website (later from Amazon), and will go on sale in February.